Automatic alerts on your mobile device keep you in the know when you are on the go. Take charge of your indoor comfort with a compatible Wi-Fi® thermostat. Wi-Fi® is a registered trademark of the Wi-Fi Alliance Corporation. 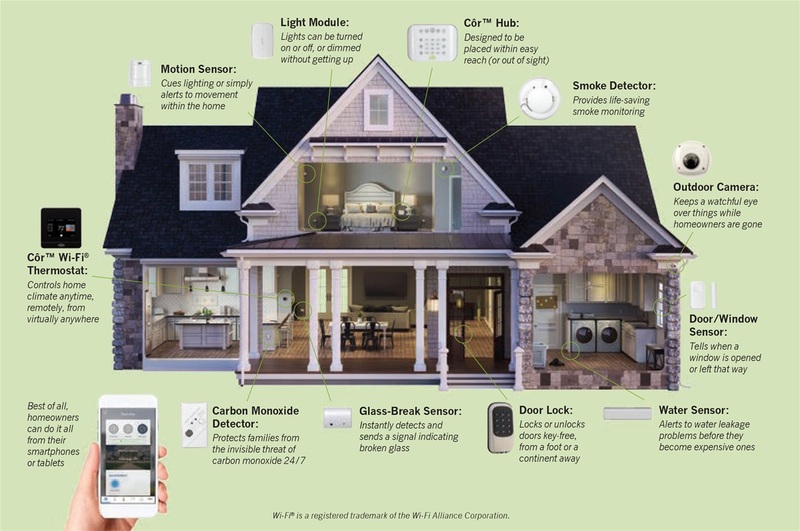 Z-Wave® technology helps control lights, unlock doors or turn on small appliances. Keep an eye on your home – inside and out – with remote camera viewing wherever you are.